Humans have been indulging in chocolate for millennia. 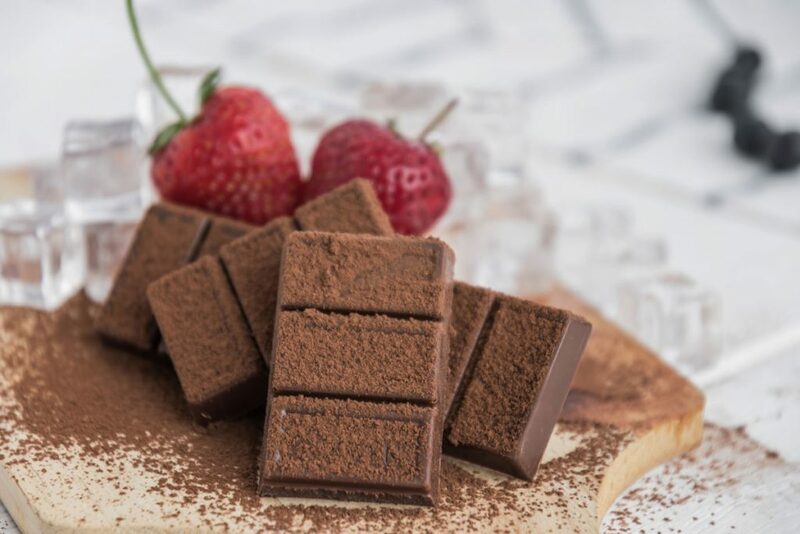 Antioxidants in chocolate may increase blood flow to the brain while flavanols in dark chocolate may reduce high blood pressure, hence heart disease and stroke. When I was growing up, I disliked my mother’s homemade chocolate sauce, even when she made it for special days or meals such as Valentine’s Day or one of us kids’ birthday dinners. 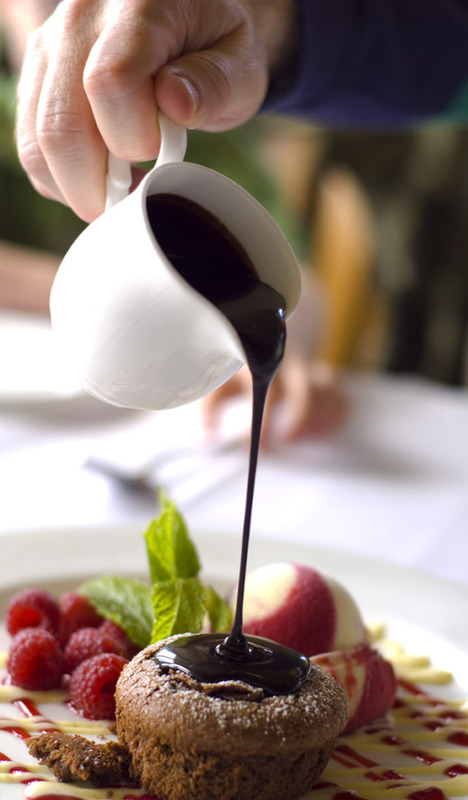 Homemade chocolate sauce: simple, real and delicious. Photo: Getty Images. Sometimes it was slightly grainy, but it was always thin and matte. I realize now that I disliked it mostly because it wasn’t Hershey’s Chocolate Syrup. I wanted a shiny ribbon of chocolate sauce waterfalling from that triangle in the top of the can – just like at the soda fountain or what crackled under my teeth from the coating on the Dilly Bar at the Dairy Queen. Or basically what my friends’ moms had at their houses. But now I love my mother’s homemade chocolate sauce just because it’s not Hershey’s. As with most foods I’ve grown to enjoy the most, her chocolate sauce is simple and real. It’s no more than cocoa powder, water, sugar, and a wee smidge of salt, all melted in a pan, with some top-drawer vanilla extract added at the end. Plus, its main grace is that it is so, so chocolaty, as black as a poodle’s nose, and a melted memory of Belgium, from where my mother came. You may make an approximation of Hershey’s Chocolate Syrup form the get-go by following my mother’s recipe, but substitute for the cane sugar one cup each of brown sugar and Karo clear corn syrup; add an ounce of chopped-up bittersweet chocolate; and add a half teaspoon of instant coffee powder. Here’s my mother’s chocolate sauce recipe. It’s from memory but I’ve tested it and it is as I remember it. In a small saucepan, combine all ingredients except the vanilla extract. Over medium heat, whisk until beginning to melt and then stir, slowly and almost constantly, until the sauce begins to bubble at the edges. Lower the heat and stir occasionally while the sauce simmers slowly for 4-5 minutes. Remove from the heat and cool a bit. Stir in the vanilla extract and cool down the sauce. It will be thin but will thicken as it cools, especially as it is refrigerated. It keeps, covered or jarred, for a couple months in the refrigerator. For chocolate milk, add 2 tablespoons to 8 ounces of milk, hot or cold. Use as you would any chocolate sauce, as a topping for ice cream, pastries, a dip for (dried) fruits or berries, or as a drizzle on cakes or cookies. Or, eat with a spoon, in between Valentine’s Day kissy faces. And don’t worry. There’s no reason to feel guilty about indulging in chocolate. People have been eating chocolate for thousands of years. There’s a reason: they feel better for it. Dieticians and doctors suggest consumption of dark chocolate (at least 70 percent cocoa mass; the higher, the better) because the health benefits of cacao are more concentrated than in chocolates with lower percentages of cocoa. Less dark and milk chocolates contain larger percentages of sugar and, of course, dairy. So-called white chocolate isn’t a true chocolate because it contains no cacao; it is a mix of cocoa butter, sugar, vanilla, and milk. The health plusses of cacao are several: its polyphenols, like those in red wine or dark fruits, are antioxidants and also increase blood flow to the brain; and dark chocolate’s flavanols may reduce high blood pressure, hence heart disease and stroke. In 1982, two psychotherapists theorized why the depressed and lovesick pig out on chocolate. When we fall in love, the brain chemical phenylethylamine (PEA) gives us an amphetamine-like rush. When the bubble breaks, the brain dries up production of PEA and we crave its high. And where does a body get higher-than-average levels of PEA?